Another Australian memoir, but a very different story. Robert Hoge was born with such devastating facial difference (as well as deformities to his legs) that his own mother didn't want to bring him home from hospital. But his four older siblings voted otherwise and soon his mother was little Robert's fiercest advocate. His early childhood was a parade of surgeries and what must have been terrible pain and struggle. 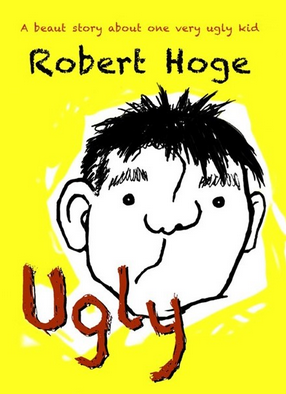 However, Ugly, adapted from an adult memoir and aimed at primary school children, focuses on the everyday obstacles of Robert's life: teasing, nicknames, pratfalls when he tries to run too fast on his artificial legs on school sports day. This is an upbeat account, emphasising the funny side of Hoge's experiences, but clearly he had a rough time at school. It's a terrific way of getting kids to think about their own responses to classmates with differences of all kinds. The book ends on a defiant note, with teenage Hoge refusing to undergo yet another massive, dangerous operation that might 'improve' his looks. He decides to take his chances with his 'ugly' face, just the way it is.